Every day is new day and with that comes a new design. Freddy offers one of a kind pieces that can fit into anyone's life. So take some time to sit down with Freddy for your next design. The Solomon dining table. Shown in walnut and English oak with a 1/2" tempered glass. It all started in 1976, creating uniqueness in the world. 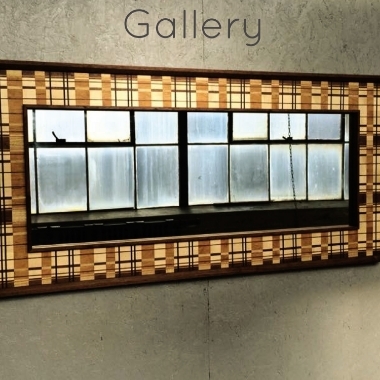 As a Cleveland-based craftsman we incorporate the culture and style of the city into our pieces and attitude. Over the past decade our selection has evolved to include comfort and design into each and everything that we do so that we can share our style with you.